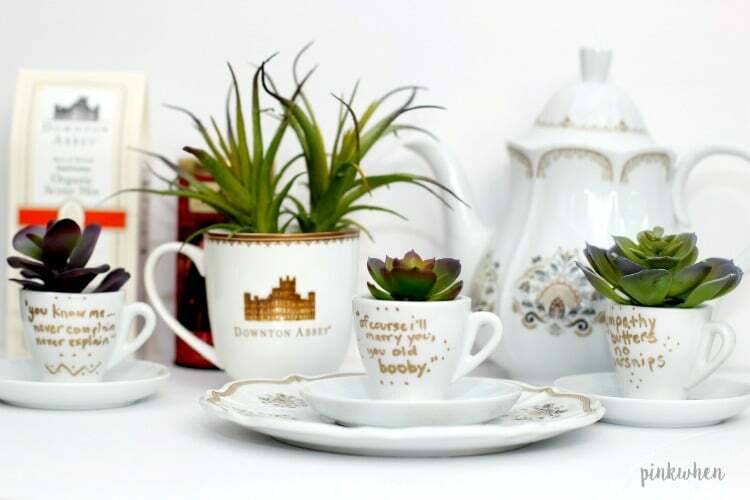 Did you take part in the #DoTheDownton tea party over the weekend? I am so excited for the new season to start, but bittersweet this will be the last. In honor of the show, I created a fun DIY tutorial for any upcoming tea parties you may have as we get close to the season’s start. 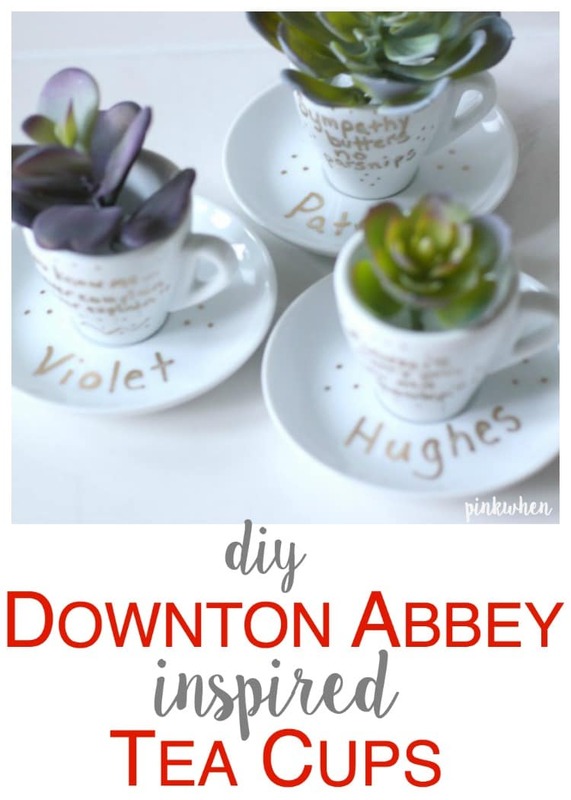 Check out this fun DIY Downton Abbey Teacup Inspired craft, and check out some of my pictures from this past weekend’s tea party. I had an amazing time with our Downton Abbey Tea party. This was my second year to take part in this fun campaign, and the tea party is always a favorite. 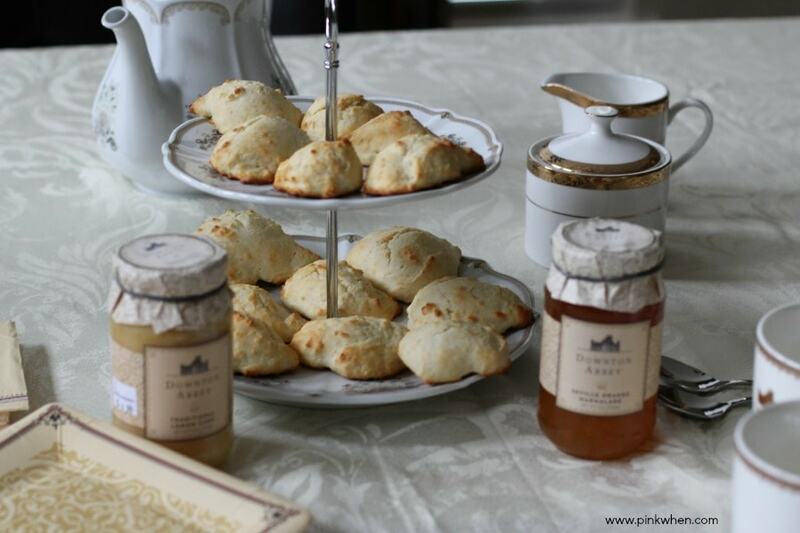 I grabbed all of my favorite Downton Abbey products from World Market and created a fun tablescape. World Market is also hosting a sweepstakes with a Grand Prize trip to London. 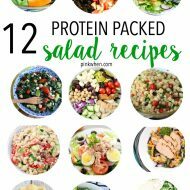 Check out all of the amazing info below, and then click here to enter. 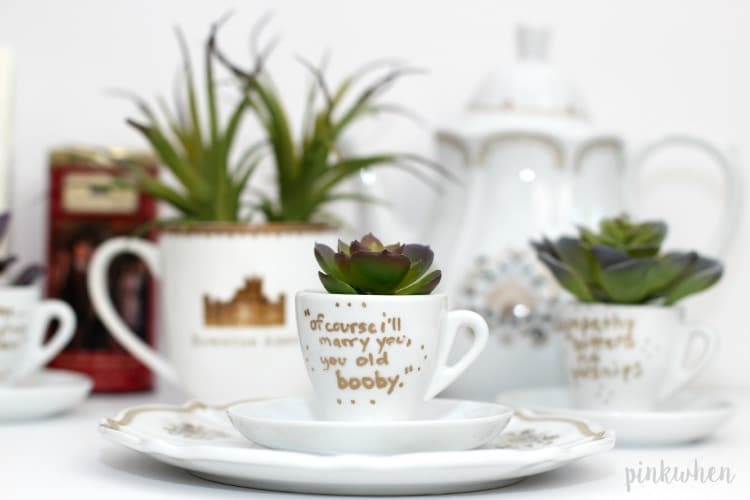 Now let’s talk about these DIY Downton Abbey Inspired Teacups. 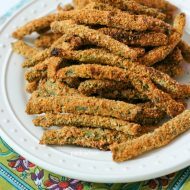 I love how cute and how simple they are to make. First find your favorite quotes from the show. I picked three of my favorite people and their quotes for us to make at the tea party. 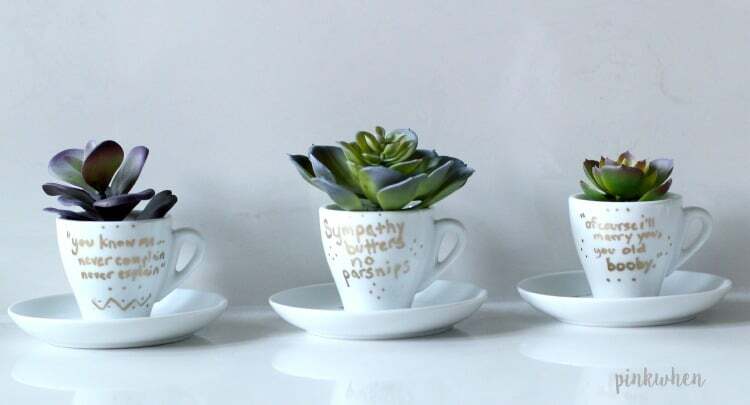 Once you have your quotes together, take your marker and write them onto your cups. 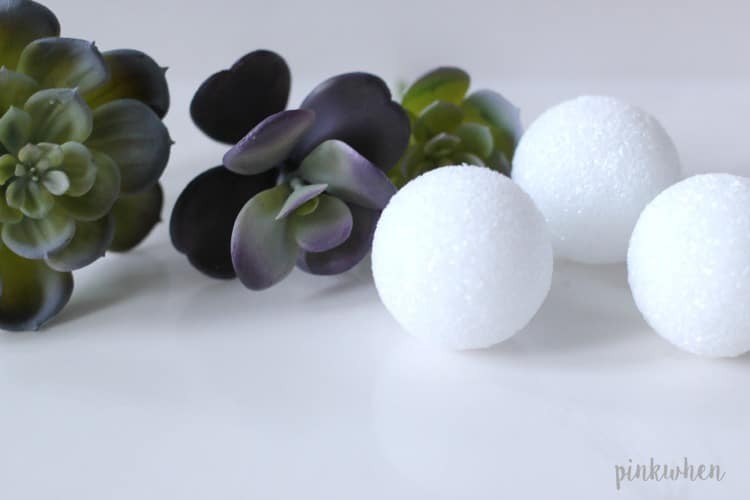 After the cups are finished, take the foam balls and succulents and place them into the cups. 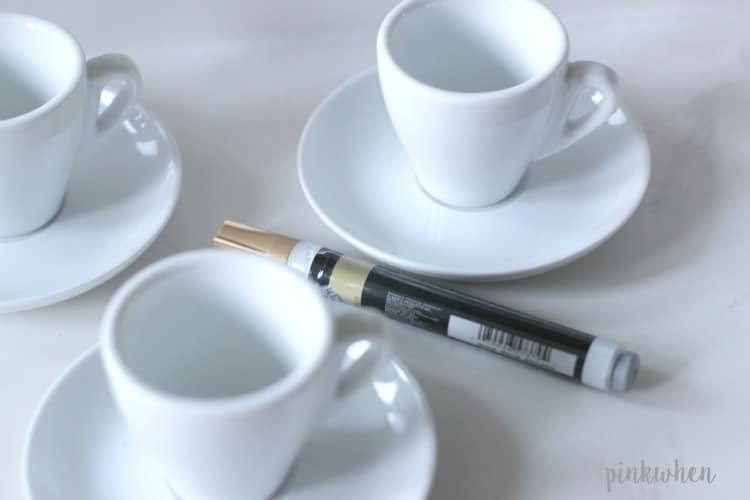 After you have finished with the cups, add them to your tablescape. 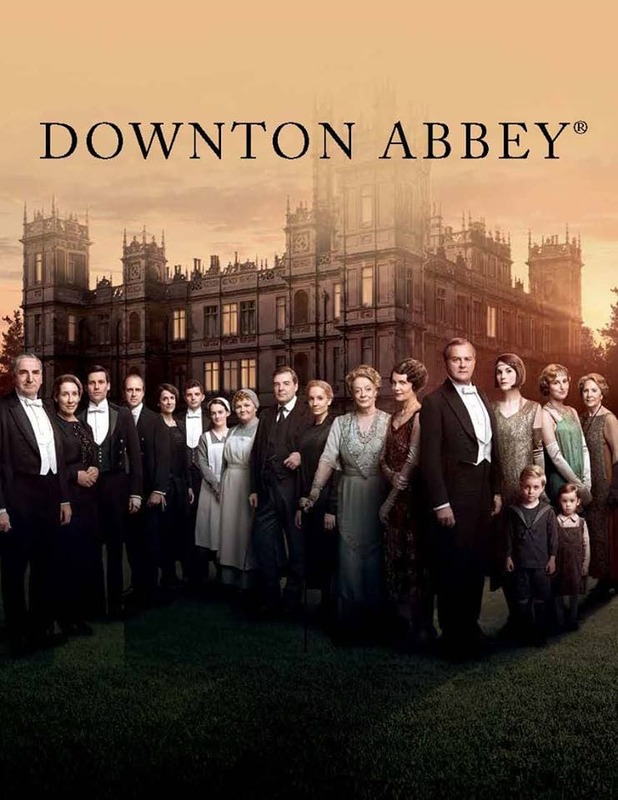 Then it’s time to serve tea and have a Downton Tea Party! 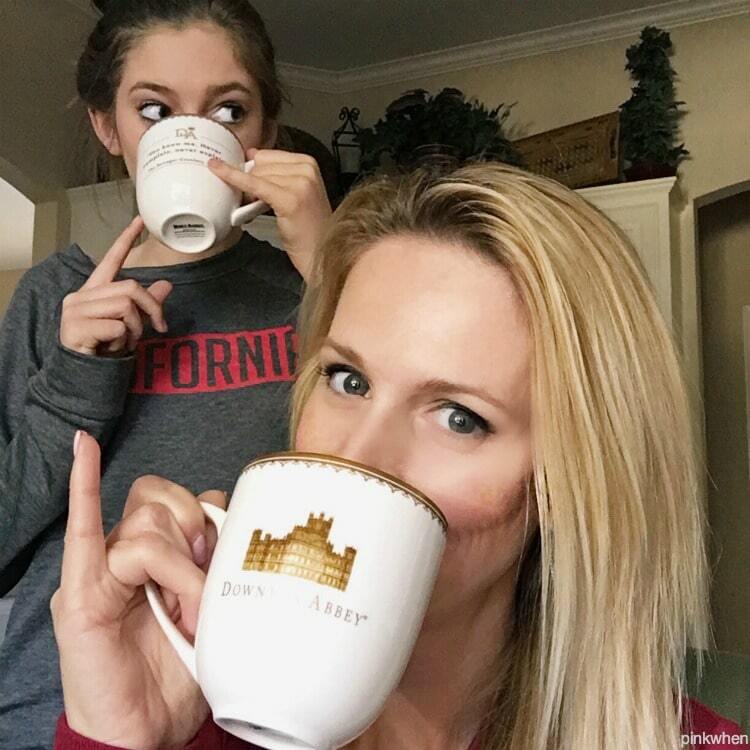 We had a blast such a blast making our DIY Downton Abbey Inspired Teacups and drinking our premium Republic of Tea. Thank you again to World Market for allowing me to participate in this year’s Downton Abbey Tea Party and campaign!